It’s not an exaggeration to say that, without At The Gates, metal in its current state might not exist. They were one of the pioneers of the Gothenburg style of death metal in the ‘90s, which has not only gone on to be the foundation for the majority of melodeath since, but also thrash, metalcore and numerous other subgenres. What’s more, they’ve largely managed to keep afloat; while In Flames have fallen off the wagon tremendously and Dark Tranquility have largely faded into obscurity, At The Gates’ return with 2014’s At War With Reality was the sort of incredibly tight death metal that was well worth the acclaim it received. Four years later, and it’s a similar case with To Drink With The Night Itself. At this point, At The Gates’ style is fairly well-known, and when considering what preceded it in their catalogue – the surprise excellence of At War With Reality and their much-acknowledged metal classic Slaughter Of The Soul – this one doesn’t quite have the same majesty or monumental presence. But for a band almost three decades in and has managed to forge a modern return unscathed, something that’s definitely rare amongst any bad, To Drink From The Night Itself has all the tightness and precision you could want from an At The Gates album. Even for a release that’s gone relatively lowkey up to this point, it’s still a pretty great melodic death metal album all the same. And when so much of that comes from the fact that At The Gates sound as though they haven’t aged a day, it becomes less of a surprise feature and more of a justification for the waves of praise they’ve received. The amount that’s been pilfered from them over the years does lessen that impact a bit, but when the likes of the title track and In Nameless Sleep are as blistering and fat-free as they are, it’s hard not to get caught up the firestorm. Tomas Lindberg still has a powerhouse growl, while new guitarist Jonas Stålhammer is more than capable of putting in the work with heated, soaring work on tracks like The Colours Of The Beast. There’s a profound sense of grandeur and melody that works so well too, particularly in the towering strings peppered into Daggers Of Black Haze and The Mirror Black that make this album feel enormous. It’s difficult to fault the overall construction or production of this album, and it definitely stands out somewhat because of that. Apart from that, it’s really the sort of thing you’d expect – expertly-crafted death metal that mightn’t offer anything particularly innovative, but does exactly what it needs to do to work. Fans will have a field day with this; it’s not too obscure or unapproachable to alienate newcomers; and it’s hard to see how any metal lover couldn’t find at least something to enjoy here. It’s just an all-around solid album, and for a band like At The Gates who’ve had such a colossal impact on the genre for decades now, that’s enough. 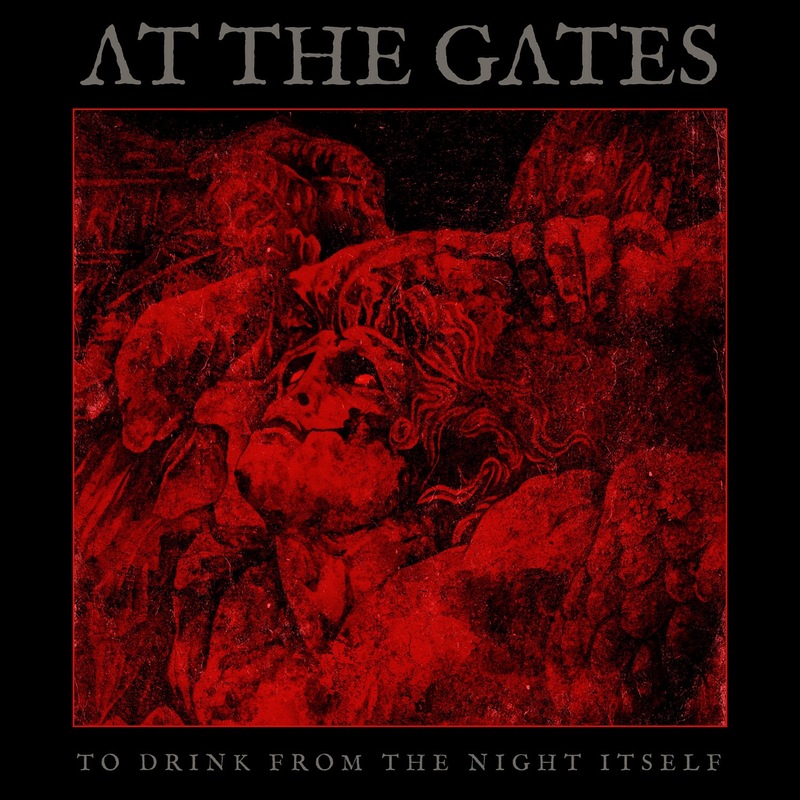 ‘To Drink From The Night Itself’ by At The Gates is released on 18th May on Century Media Records.